The risk of flooding along most of Glen Osmond Creek has been reduced in recent years by extending the underground culvert section from Windsor Street, Fullarton to Unley Road (including the section of drainage reserve pictured), as well as by the construction of Ridge Park flood control dam in 2015. 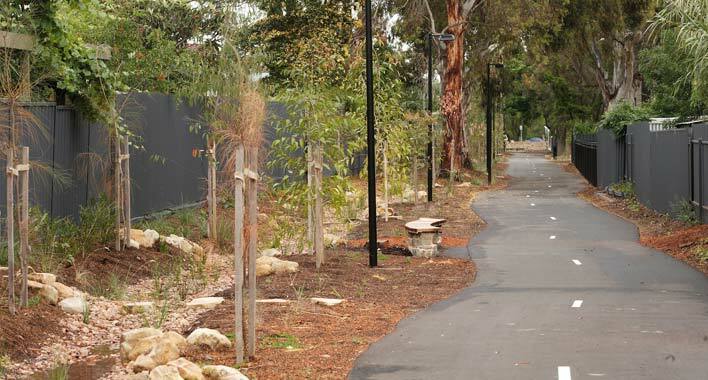 However, upgrades in some sections of the creek are still required including the bridges at Fern Avenue and Torrens Avenue. With all of those works in place, the previously proposed Fisher Street bypass culvert of the 2012 SMP is unlikely to be required. The proposal is outlined in Section 10.8 of the 2016 Stormwater Management Plan.